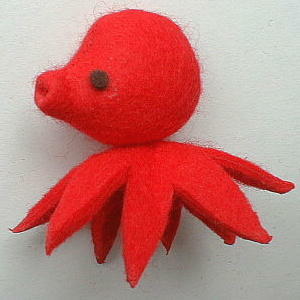 Octopus of woolen felt cloth. 5cm. 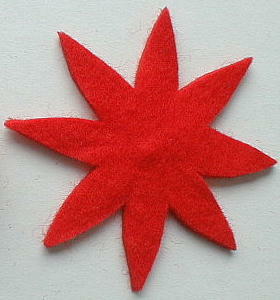 Print the pattern on A4 paper. 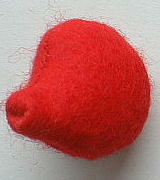 Sew the head of felt. Not sew the mouth and the opening. Stuff with fiberfill. Close the opening. Fold the tip of the mouth inside. 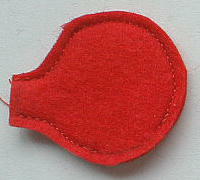 Glue 2 sheets of felt. Cut the legs out. Pinch the center of the legs. Stitch it to the head. Glue the black felt as eyes.